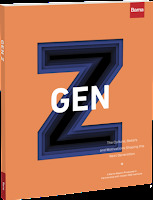 I am not in favor of purchasing Barna's Gen-Z study for $39.95. Nor would I be inclined to read the 128 page report which is only available in paperback format. However, someone at Christianity Today has apparently purchased and read it. 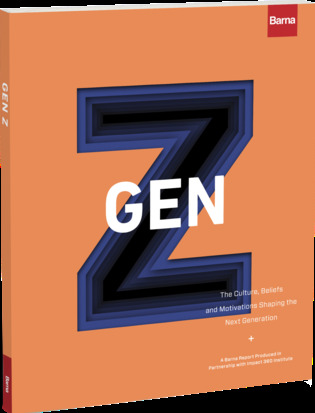 Their take is best summarized by their headline which reads: “Group Leaders: Teens Twice as Likely to Identify as Atheist or LGBT — Barna findings on Generation Z pose new challenges for the church.” Since I have not spent the 40 bucks or read the report I have no way of determining how Barna reached those conclusions. I can only speculate what that means. What I think I know, to a reasonable certainty, is that we are not producing more LGBT kids. There's nothing in the water, food additives or device apps that is making more teens gay or trans. Therefore, what I think this means is that teens are more comfortable with their sexual orientation and sexual identity and less likely to pretend to be what they are not. I pretended, as a teen, to be straight and interested in girls. Today I would not do that. I wish that I could get back all of the anxiety-driven, neurotic energy that I wasted as a kid to convince myself and others that I was heterosexual. 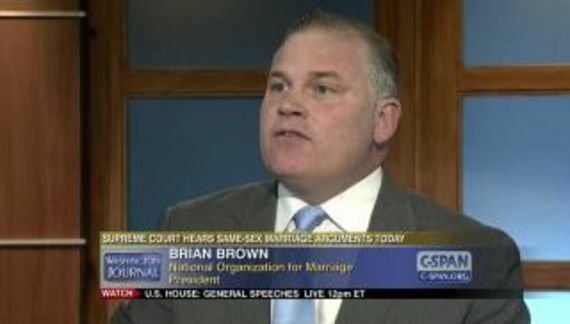 Getting back to the CT text, that boils down to about 5% gay and 7% bi. Speculatively it reflects a better understanding of bisexuality and the fact that sexual orientation is a continuum. That 37% stat in the first paragraph doesn't really mean that teens are “more sensitive to LGBT issues.” They probably are but what that really means is that kids are more comfortable being who they are. This is going to have a dramatic effect on society in years to come. If these attitudes hold up then Family Research Council's days are numbered which is why they are so frenzied over what kids are learning in school. It is heartening to see that 69% of these teens are comfortable with the concept of transgender. Yet it also means that 31% remain ignorant. We have much work to do. So, in other words, you are going to teach all those LGBT kids who have arrived at being comfortable with their sexuality that they are going straight to hell? Do these folks think that there is some pill to turn the kids straight and cisgender? Those ancient texts never consider anyone being transgender. Today, these people might just want to ponder that those old screeds reflect the times in which they were written. That means that they are reacting to the rampant and socially acceptable pederasty that was practiced throughout the upper classes in ancient Greece and Rome. The contrast is interesting as well. The teens are dealing with reality while the adults are trying to conform reality to scripture (possibly with some help from parents). The teens should be teaching the adults. Perhaps that 13% will never have to deal with the blowhard Christian youth counselors. The numbers for teens and adults are probably understated. People remain embarrassed to admit that they are theists. That “less likely” in science v. scripture is a start but it leaves considerable room for improvement. If we want to excel as a society then people need a clear demarcation between science and faith. Kids cannot appreciate biology, for example, without a crystal clear understanding of evolution. Anything that muddies the waters is antithetical to sound education and their future adaptation of science. We don't seem to have jet propulsion scientists who think that Earth is less than 10,000 years old and that man co-existed with dinosaurs. “They” are going to keep pushing. There is, for example, that idiotic Ark Encounter in Kentucky. It attempts to instill biblical literalism into young minds. The debate among geologists is whether the Grand Canyon was formed 10 million years ago or much earlier. Ark Encounter attributes the Canyon to the Great Flood. You might just as well saw off the top of a kid's cranium and pour in the horseshit directly. The fact that parents abet those making their children stupid is astounding, and a bit nauseating. As I said, “they” are a long way from throwing in the towel. We are way behind most of Europe and Asia. Even Israel tends to be more secular than we are. Congressional sessions still start with a prayer as do many city and state functions. Congress is dominated by Republicans who claim to be conservative Christians (or at least pander to conservative Christians). Religious literalism causes people to be wrong most of the time yet never uncertain. In effect it is a celebration and affirmation of ignorance. These folks are determined to influence our young people to be stupid and they have many enablers.